“Together: Kindness Unites Us”. 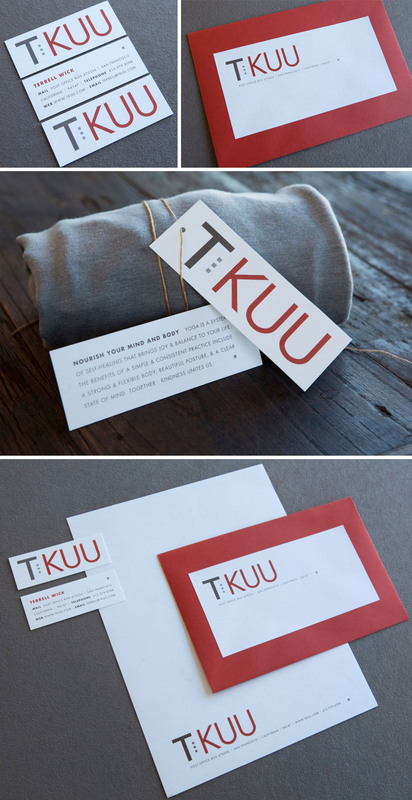 This is the mantra behind T KUU, a California-based yoga company whose identity we designed. The founders allowed us to take their look in a modern direction, agreeing to forgo an icon and focus instead on a strong, simple font in a warm palette. The letters fill up the space on each piece of their collateral, big and bold like their message.